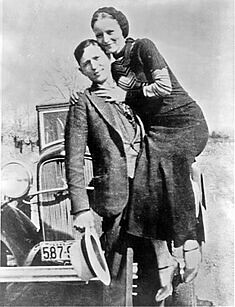 As we contemplate the clues that surround us, we might recall that it was on this date in 1934 that Bonnie Parker and Clyde Barrow were ambushed and killed on a rural road near Gibsland, Louisiana, by a posse of four Texas Rangers and two Louisiana Troopers armed with Browning Automatic Rifles sporting 20 round magazines with armor piercing bullets. The barrage that caught the bandits in their car reportedly left each with 50 bullet wounds– and left the ambushers deaf for 30 minutes after their attack. The dispatch of Barrow and Parker was the beginning of the end of the “Public Enemy era” of the 1930s. 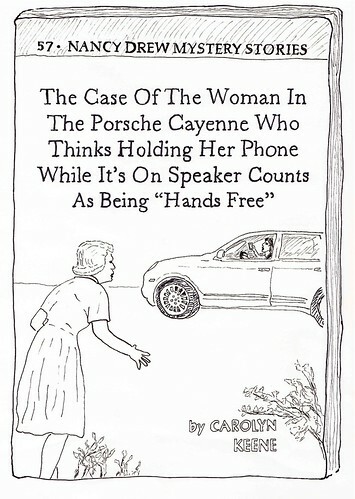 New federal statutes that made bank robbery and kidnapping federal offenses, the growing coordination of local jurisdictions by the FBI, and the installation of two-way radios in police cars combined to make the free-roaming outlaw lifestyle much more difficult in the summer of 1934 than it had been just a few months before. Indeed, two months after Gibsland, John Dillinger was ambushed and killed in Chicago; three months after that, Charles Arthur “Pretty Boy” Floyd took 14 FBI bullets in the back in Ohio; and one month after that, Lester “Baby Face Nelson” Gillis shot it out, and lost, in Illinois. By 1935, Public Enemies had migrated pretty completely to the Silver Screen.